This is a 4oz squeeze bottle of Boeshield T9 Lubricant. Boeshield T-9 is a unique formulation developed by The Boeing Company. Based on a one of a kind combination of solvents and waxes, T-9 penetrates metal pores and dissolves minor corrosion, leaving behind a resilient waxy coating that lasts for many months exposed to the harshest conditions. Boeshield T-9 has been used successfully in a variety of applications, including the tough saltwater marine market for lubricating and protecting all metals. It works well on engines and deck hardware as well as electronics, batteries and wiring connections. It is non-conductive and will not cause short circuits. 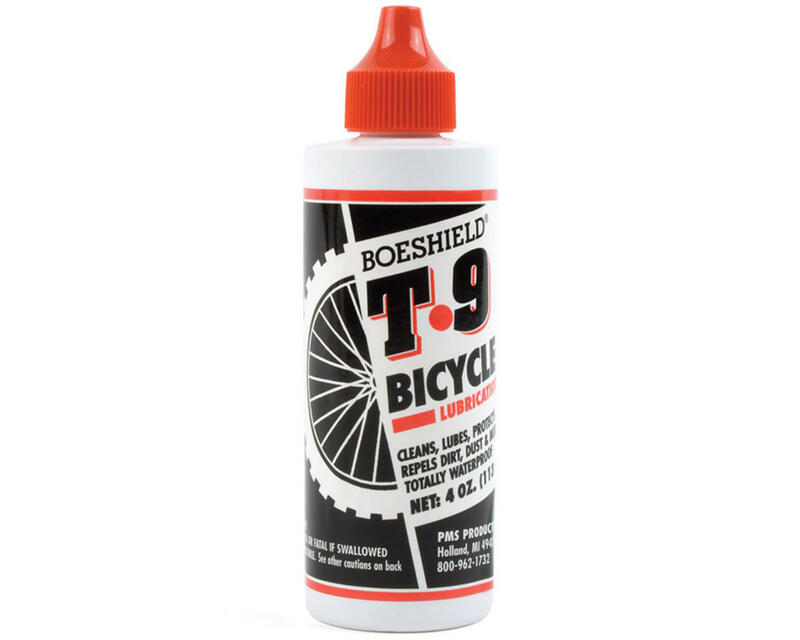 When used on bicycle chains, T-9 has proven to be a tough, long lasting waterproof lubricant that is a great choice in wet or dry conditions.